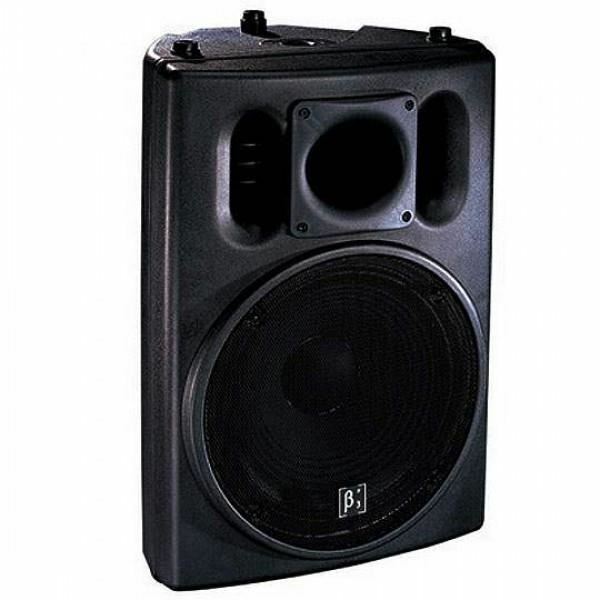 Two-way active speaker with one 15" woofer and one 2 " driver. Cabinet is made from polypropylene and special high-tech material. It' s durable, anti-shock and has good damping characters. Voice coil in the 15" woofer is made from 75mm copper cladding aluminium ribbon wire. Rotatable ( H× V) 50-100° × 55° dispersion horn makes it suitable for any performance purposes. Molded-in pole mount, easily suspended. Vertical or horizontal layout, can be used as a monitor or in any flying systems.